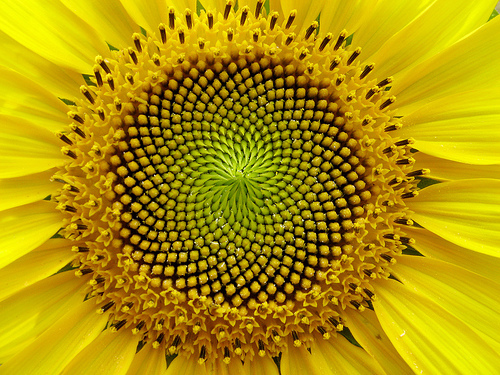 Roll up, roll up… It’s time for the great Arbworx summer sunflower competition! These oh so cheerful plants are native to central America but thrive in the UK and across Europe. Hugely popular with gardeners of all ages, sunflowers are loved by bees and butterflies whilst in flower, and by birds as soon as their petals have fallen and the seed heads mature. To encourage even more of our lovely friends and followers to grow a sunflower or two in their gardens this year, Arbworx is running a ‘Tallest Sunflower’ competition so to be in with a chance to win, get planting! We will be offering a deliciously colourful and practical prize for the winning entry and the three runners up will be rewarded too with a little something for their gardens in 2012. Send the picture to us along with its measurements (the flower’s measurements, not the photo’s…) and your name and contact details. If you will be posting your entry to us and would like your photo returned to you, please ensure you include a stamped, self-addressed envelope along with your entry. Dig over your soil, compost it well and rake it finely. Sow your seeds thinly, 12 mm (1/2 inch) deep in drills 30cm (12 inches) apart and watch them sprout. Germination takes only 21 days. When they’re large enough to handle thin the seedlings to 30cm (12 inches) apart. 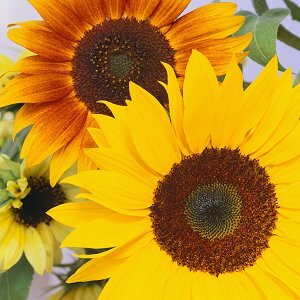 Nurture your sunflowers throughout the summer, water them regularly, talk to them, even sing them songs – anything to encourage them to reach up as high as they can. Most sunflowers will have grown to their full height by August so measure them regularly that month to make sure you get them at their tallest.